The Greater Buffalo Area has some of the best dessert delis and bakeries around. When it comes to tasty treats, there are almost too many places to count. Homemade bake goods and recipes passed down from generation to generation give each special indulgence its own zesty flavor. 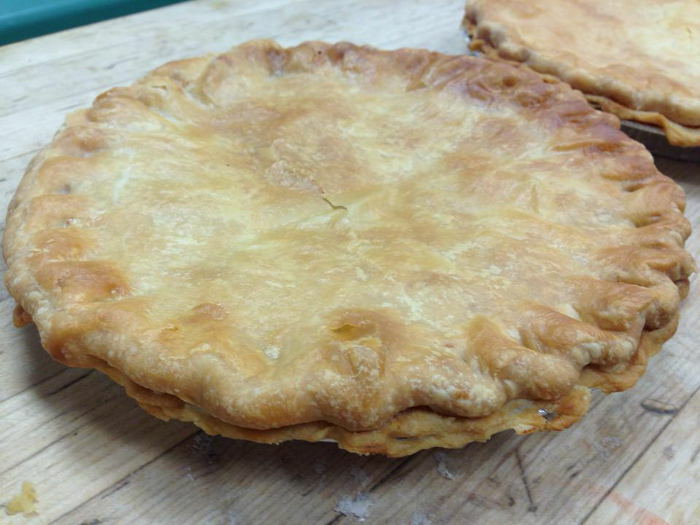 In this guide we’ll highlight some of the best locations to find Homestyle Pies. From Pumpkin Spice to Banana Cream and Lemon-Lime, these places will have you begging for more. Disclamer: We narrowed this list to include only places where you can easily get a full pie to go. Sanger Farms has a lot to offer. For the casual visitor they have a bakery, fresh produce, and host special events. As the name hints, everything is home grown and baked fresh! They make some of the best cherry, blueberry, rhubarb, and pecan pies in the area. Their Apple and Peach Crumb taste just the way grandma would make them. (Maybe even a little better! Don’t tell gram.) On top of their delicious pies, you’ll find cookies, tarts, and much more inside their storehouse. Where there are delicious baked goods, there are delicious pies. Elm Street Bakery is no exception. At any given time you’ll find a carefully curated selection of desserts at their bakery counter, but this time of year they pull out all the stops with their outstanding pies. With a focus on exceptional ingredients (in everything they do), these pies are a treat any time you can get your hands on one. 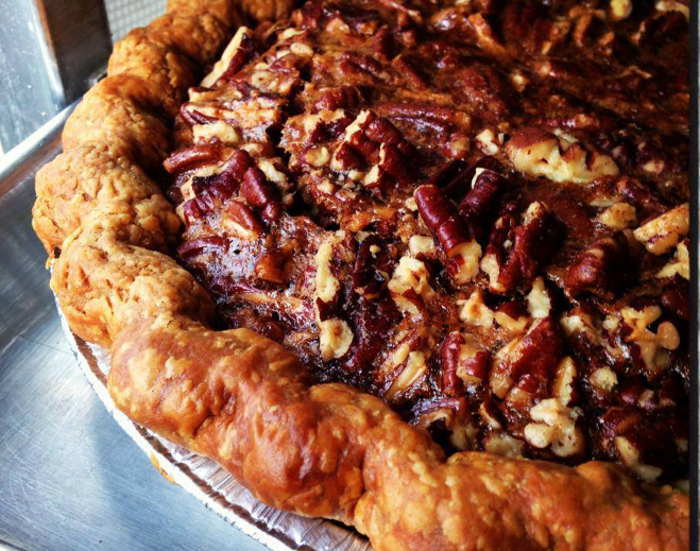 Try their Maple Pecan Pie made with sweet local maple syrup and toasted pecans in a flaky butter crust for $24. When it comes to barbeque in Western New York, Kentucky Greg’s has some good eats. In addition to BBQ, the restaurant also has some of the best pies in town. 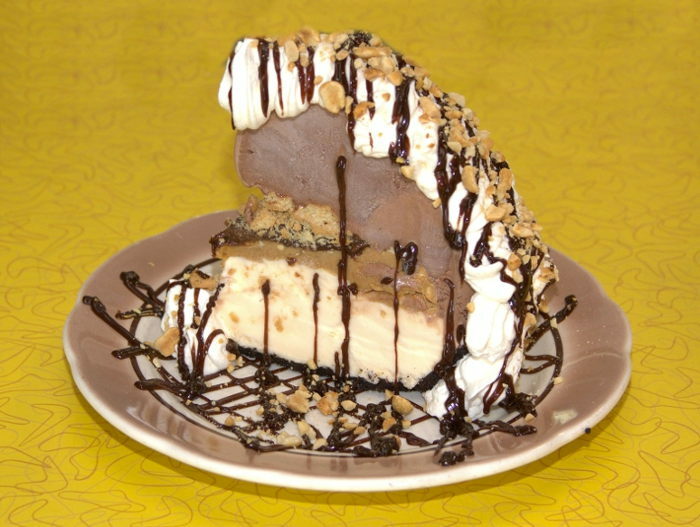 The Mile High Mud Pie is simply extraordinary. Lay upon layer of chocolate and vanilla ice cream, peanut butter and savory cookie bites are nestled in a cookie crumb crust covered in hot fudge, whip cream and peanuts. It’s more than enough for two people to handle! 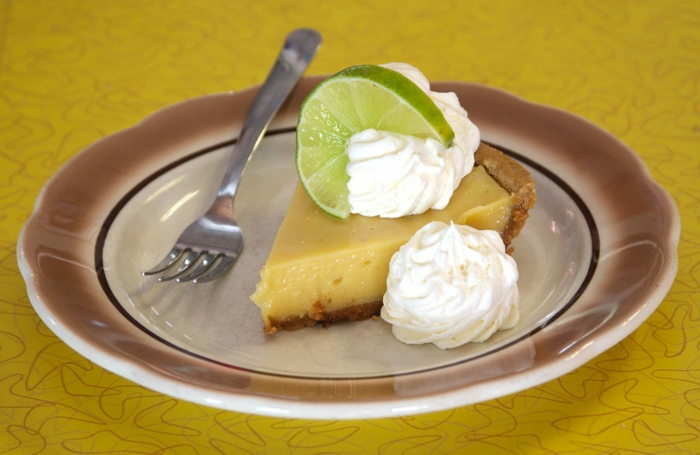 The menu is likewise highlighted by a mouthwatering Key Lime Pie, creamy Peanut Butter Pie, quintessential Pecan Pie and the restaurant’s famous Sweet and Salty Fudge pie. The Sweet and Salty Pie blends a complex ensemble of tastes to perfection. It makes the ultimate end to a fine night out! 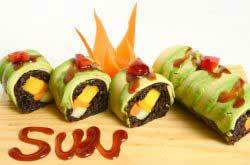 Muscoreil’s has an extremely diverse menu with baked goods and specialties to satisfy any pallet. They offer perhaps the most extensive list of Cream and Fruit Pies in Western New York. The establishment is considered one of the area’s premier wedding cake and dessert catering services and for good reason! Try one of their Black Bottom Banana Pies, Peaches and Cream, Pineapple and Cream, Cherry Double Crust, Pumpkin, Pecan – or choose from many more! They even offer the option of creating your own. So choose one of their staples or invent something totally off the wall! Enjoy the quiet ambiance of the heated patio, available year round, or dine in the classical interior. The land on which the restaurant sits is historically significant, being that it was the first home site in Amherst, circa. 1799. The Creekview offers a unique dining experience and a sensational view. Live music runs through November. Pies include Caramel Apple, Key Lime, Peanut Butter and Pecan. The cream pies are fantastic — Banana, Coconut and Chocolate are all wonderful. Ruzzine’s has received rave reviews. Its signature hamburger was even selected as the best in Buffalo and Western NY (2009, 2011). The restaurant has a well-rounded menu featuring homemade Italian, savory sandwiches and delightful desserts. Ruzzine’s reputedly has, “The best coconut cream pie anywhere…”. “Desserts by Trish” has earned a reputation as some of the best pies around. The Snickers Bar, Chocolate Pecan, Reese’s Peanut Butter Cup and Coconut Cream are all great orders for cap to a special event or maybe even a quiet night in, if you know what I mean. Dessert Deli is a locally owned eatery with an assortment of high quality delights. They offer specialty cakes, cookies, tarts and seasonal treats. 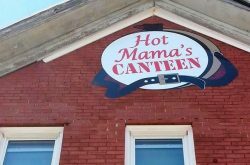 Try their wonderful Pecan Pie or stick with the classic Pumpkin Spice. 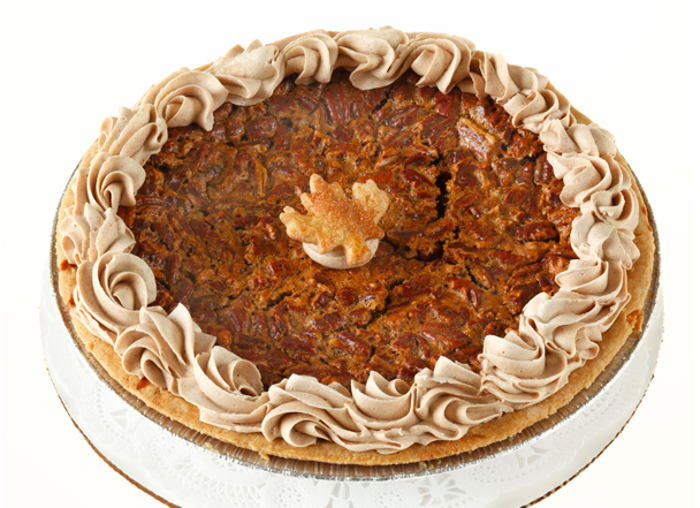 If you’re looking for something a little more adventurous give the Butterfinger Pie a taste! Each dessert is hand crafted and made to satisfy and new goodies are baked fresh daily. The Dessert Deli takes pride in its meticulous attention to detail, plus if you have something specific in mind they will work with you to create it! Pies are around $28. Landin is an avid outdoorsman and fitness fanatic. Sitting on the couch isn't exactly part of his routine. If an activity involves exercise and a bit of adrenaline, he's probably already there. Born and raised in Buffalo, Landin takes pride in the rich history of his hometown.